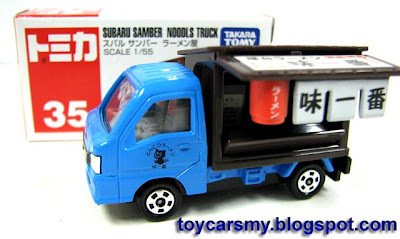 This number 35 Noodles Truck was released September this year, as usual we received it one month later due to shipment. Very limited stocks was displayed at the Hobby Shop, until today, I have yet see any display at Jusco, Isetan or Toys R us. 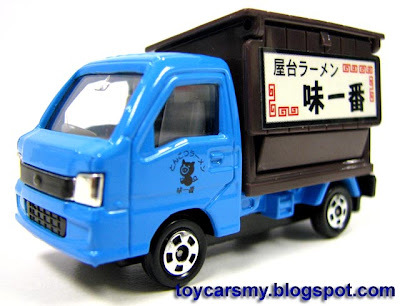 Please note, there are something unsual over this release, the desription for the model has a typo. The Noodles is spelled as "Noodls" with the missing "e" on the box, see the picture above. 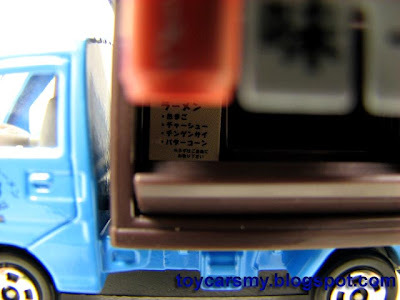 If TakaraTomy correct this mistake on their later productions, those with the error box will worth higher in its value. 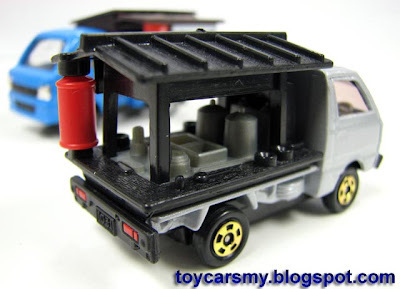 This is similar to the earlier release Hot Wheels 2007 Super Treasure Hunt "Ferrrari" Enzo with 3 "r" in the Ferrari word, the resale value of the Super Treasure Hunt worth over RM100 today. 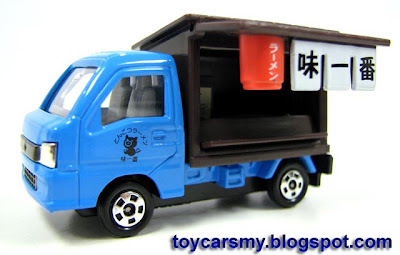 - Interesting Model, I collecting truck, this is something I won't missed this. 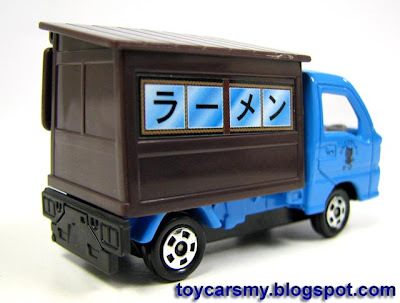 - Stall's door can open, reasonable detailed. - Nope, no complain for this regular model (for the 1st time??). 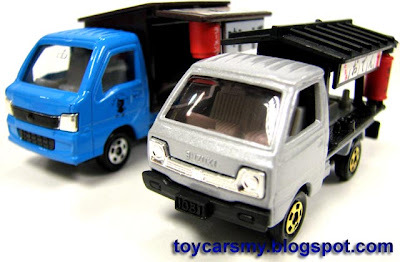 - Just that I prefer the Suzuki Carry Truck more from the Lottery model (see below). Ready for Business! 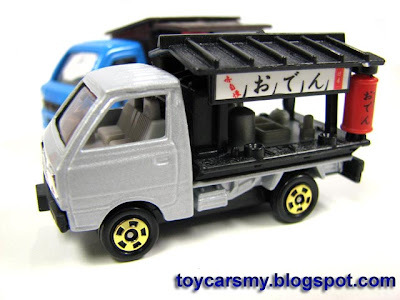 Do you want to try the Tong Yam Kong flavor? 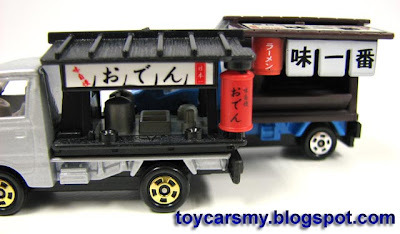 The competitor Noodle truck, selling "Bak Kut Teh"
This model is special. Surely I will pick it up when be released in Vietnam. I also have chance to taste the Bak Kut Teh in Singapore. Heard that Bak Kut Teh is a traditional food of Malaysia. So delicious! Funny scenes =D maybe the word "Noodls" was spelled due to shortage of character space when keeping it to a one liner?